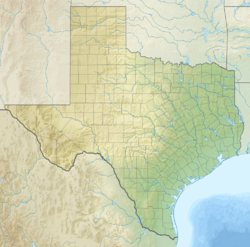 Adobe Walls is a ghost town in Hutchinson County, 17 miles (27 km) northeast of Stinnett, in the U.S. state of Texas. It was established in 1843 as a trading post for buffalo hunters and local Indian trade in the vicinity of the Canadian River. It later became a ranching community. Historically, Adobe Walls is the site of two decisive battles between Native Americans and Anglo forces. In November 1864 First Battle of Adobe Walls, Native Americans successfully repelled attacking troops led by Kit Carson. Ten years later, on June 27, 1874, known as the Second Battle of Adobe Walls, civilians at the Adobe Walls trading post successfully fought off an attack by a war party of mainly Comanche and Cheyenne warriors led by the Comanche chief, Quanah Parker. The second battle led to a military campaign which resulted in the relocation of Native Americans to Indian Territory in Oklahoma. On May 22, 1978, the Adobe Walls site was added to the National Register of Historic Places in Texas, and in 1979 recognized as a Texas state archeological landmark. In 1843, the trading firm of Bent, St. Vrain & Company established a log structure trading site on what is now known as Bent Creek in Hutchinson County. In 1845, they replaced the log structure with an adobe brick 80 square feet (7.4 m2) single-entrance fort, with walls that rose 9 metres (30 ft). The fort was closed in 1848, due to Indian depredations. In 1849, William Bent found part of his livestock slaughtered by local Indians. He blew up the remains of the fort and departed the panhandle of Texas. By the time of the renowned battles, the adobe structure was permanently abandoned, leaving only the crumbling adobe walls. In 1874, a new complex was erected north of the ruins by traders from Kansas. In November 1864, an estimated 3,000 Kiowa, Comanche and Plains Apache repelled an attacking 372 Army troops under Kit Carson in what became known as the First Battle of Adobe Walls. On June 27, 1874, known as the Second Battle of Adobe Walls, 28 trading post civilians repelled 700 attacking Native Americans led by Isa-tai and Quanah Parker. Following the battles and relocation of Native American tribes, buffalo hunters would still come, but the herds had thinned. The Turkey Track Ranch was established, but the population of the area remained sparse. Human remains were left scattered on the battlefields. In 1883, civilian Medal of Honor Recipient Billy Dixon (1850–1913) hired on at the Turkey Track Ranch. He filed for two sections of land at Bent Creek and erected a log house. In 1902, Dixon and his family moved to Plemons. The first school building was destroyed by fire in 1920, and a temporary school was held on the second floor of Billy Dixon's former home at Bent Creek, until a new one would be erected. Dixon was appointed the first postmaster when Adobe Walls received its post office on August 3, 1887. Dixon ran the post office out of his home, where he and business partner S.G. Carter also had a store. Dixon served as postmaster until 1901, at which time Otto Anderson was appointed postmaster. The post office was in operation until 1921, when it was closed and mail service moved to Plemons. Adobe Walls was a polling site, and voting there in the 19th Century was a multi-day community event that included barbecue and accompaniments. Today, Adobe Walls is a ghost town. In 1923 the Panhandle-Plains Historical Society became owners of the remains of the 1874 trading post, and conducted archeological excavations in the 1970s. Billy Dixon (1850–1913) Medal of Honor awarded November 4, 1874, for gallantry in action on September 12, 1874 (Buffalo Wallow Fight). In 1916, Dixon's was one of nine hundred medals withdrawn as "unwarranted". The U.S. Army Board of Correction of Records restored the medal in 1989. 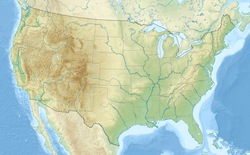 ^ Federal and state laws and practices restrict general public access to information regarding the specific location of this resource. In some cases, this is to protect archeological sites from vandalism, while in other cases it is restricted at the request of the owner. See: Knoerl, John; Miller, Diane; Shrimpton, Rebecca H. (1990), Guidelines for Restricting Information about Historic and Prehistoric Resources, National Register Bulletin (29), National Park Service, U.S. Department of the Interior, OCLC 20706997 . ^ T. Lindsay Baker; Billy R. Harrison (16 August 2001). Adobe Walls: The History and Archaeology of the 1874 Trading Post. Texas A&M University Press. pp. 51–52. ISBN 978-1-58544-176-1. ^ "THC-Battle site Adobe Walls". Recorded Texas Historic Landmark. Texas Historical Commission. Retrieved 2 March 2011. ^ "Bent Creek". Handbook of Texas Online. Texas State Historical Association. Retrieved 2 March 2011. ^ a b c Anderson, H. Allen. "TSHA-Adobe Walls, Tx". Handbook of Texas Online. Texas State Historical Association. Retrieved 2 March 2011. ^ Holden, W.C. (1962). Graves, Lawrence, ed. Indians, Spaniards, and Anglos, in A History of Lubbock. Lubbock: West Texas Museum Association. pp. 32–33. ^ "1864-The Battle at Adobe Walls". buffalosoldier.net. Retrieved 2 March 2011. ^ "THC-First Battle of Adobe Walls". Recorded Texas Historic Landmark. Texas Historical Commission. Retrieved 2 March 2011. ^ "TSL-Battle of Adobe Walls". Indian Relations in Texas. Texas State Library and Archives Commission. Retrieved 2 March 2011. ^ "Billy Dixon TSHA". Handbook of Texas Online. Texas State Historical Association. Retrieved 6 September 2011. ^ Dixon, Billy (2008) . "XIII". Life and Adventures of 'Billy' Dixon of Adobe Walls, Texas Panhandle. BiblioLife. ISBN 978-0-559-32678-3. ^ "Hutchinson County Post Offices". Jim Wheat. Retrieved 2 March 2011. ^ Anderson, H. Allen. "Buffalo Wallow Fight". Handbook of Texas Online. Texas State Historical Association. Retrieved 2 March 2011. ^ "Medal of Honor Recipients-Indian Wars Period". U.S. Army Center of Military Intelligence. Retrieved 1 March 2011. Baker, T. Lindsay; Harrison, Billy R; Price, B. Byron (2001). Adobe Walls: The History and Archaeology of the 1874 Trading Post. TAMU Press. ISBN 978-1-58544-176-1. This page was last edited on 10 January 2019, at 08:37 (UTC).